Jackie, Need divorce advice: Signing papers today to end a 28- year marriage, a divorce I didn’t want. Thoughts? Today you are signing a document that is no different…..
Jackie, Need divorce advice: Signing papers today to end a 28- year marriage, a divorce I didn’t want. Thoughts? 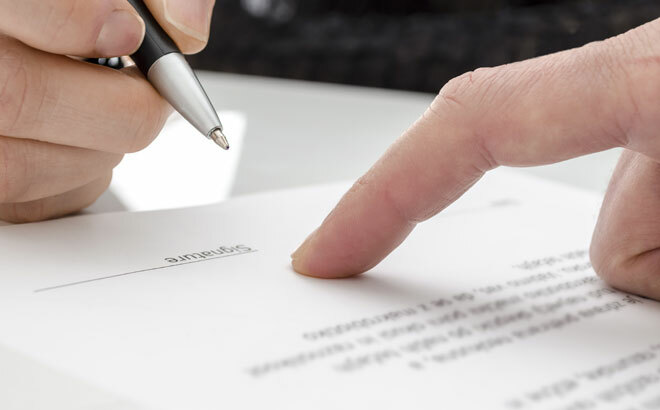 Today you are signing a document that is no different than any business transaction you have ever signed, be it real estate, financial or anything of a litigious nature. So, I guess my question to you is, do you feel comfortable signing the papers, as far as the terms and conditions of your new life ahead? That could mean financial (including assets, maintenance and/or child support), and a visitation schedule (if you have young kids.) If you don’t feel thoroughly comfortable signing, do not sign. But, if you trust your attorney and your gut that you have a fair settlement, then it’s all good. Also, remember this. I don’t believe that anyone who goes through a divorce ever really feels 100% confident that what he/she got was fair. All you can do is educate yourself as much as possible, trust your attorney and trust your gut. But onto the difficult emotional part of what you are doing today, which is why I think you contacted me. I’m sure it is brutal to sign papers that will legally split up the marriage you envisioned would last till the day you died, and a marriage you were willing to fight for but your wife wasn’t. For that, I really want to tell you how sorry I am and give you a big hug. My advice to you is, try to think of signing the papers not only as the official end of your long term marriage, but as the start of a promising new beginning. I can say this almost with certainty. Some day you are going to look back and your wife wanting a divorce will make sense to you. I don’t know when that will happen or what will trigger the reflection, but I do think it will happen. You will have a life you really enjoy (if you make good decisions and go for what you want) and the things you didn’t want to see will become transparent. I really do believe with time comes clarity. I don’t want to minimize your pain, and again I am so sorry. Today must be traumatic for you. But try to look at this as the close of a business transaction that you needed to move on to a better place in your life. It’s not like you just found out about it. When she told you she wanted a divorce, that was worse than where you are today, wasn’t it? A chance for a more amicable relationship between the two of you, now that the deal is done. Less time preparing legal documents and talking to your attorney. A huge project that is off your to-do list, giving you more time to do the things you love, perhaps develop new hobbies and interests, and spend more time with friends and family.